BioThrive Sciences is one of the leading providers of private label and contract manufacturing men’s health vitamins. We’ll work closely with you to create the perfect formulation of men’s health vitamins unique to your brand and customers. We also offer end-to-end private label design and printing for men’s health vitamins designed to ensure the packaging reflects your brand and resonates with your target market. At BioThrive Sciences, we always start with the highest quality ingredients in our custom formulations. We will assist your company in the creation of a top-quality formula that meets the unique needs of your target customer base. We operate out of an expansive state-of-the-art manufacturing facility, and we offer men’s health vitamins in a variety of forms, including liquid, gummies, chews, drops, gums, and more. Vitamin D to assist with testosterone production, regulate blood pressure, improve bone strength, and prevent depression. Antioxidant Vitamins A, C, and E are critical to preventing inflammation in the organs, tissues, and bodily cells. Inflammation will ultimately lead to pain, premature aging and cancer. Vitamin K is helpful in protecting against cardiovascular conditions, bleeding, and weak bones. Vitamin B12 helps combat fatigue and damage to the nervous system. Magnesium is useful in balancing some of the most critical nutrients in the body, such as potassium, calcium, and sodium. Magnesium can also prevent muscle injuries and headaches. Potassium works to prevent bone conditions, heart disease, and a wide range of digestion issues. This critical nutrient also combats a slow metabolism. Omega-3 Fish Oils are vital to helping the body fight off inflammation and heart disease. In addition, BioThrive Sciences can formulate any other men’s health vitamin or nutrient to your exact specifications. BioThrive Sciences provides domestic expert manufacturing services, and our products can be shipped anywhere in the United States and internationally. 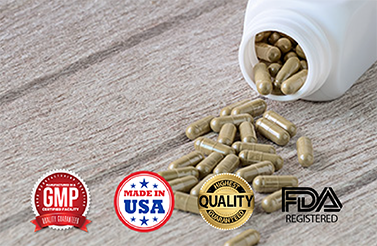 Regardless of where your men’s health vitamins are being shipped, we guarantee our products will exceed the requirements of Good Manufacturing Practices (GMP) throughout the bottle design, ingredient testing, and labeling process. BioThrive’s private label manufacturing for men’s health vitamins is an excellent solution for businesses looking to expand their brand or product solution. Our private label manufacturing service allows you to purchase men’s health vitamins through BioThrive Sciences with your brand label affixed to the product. We can create any custom supplement you need with your company logo, brand information, and whatever else you need already on the product. At BioThrive Sciences, we understand the men’s health vitamins you offer are vital to your client’s health. As a result, we always start with the highest-quality ingredients available based on your custom formulations. Our experienced product specialists will work with you to engineer a top-quality formula that caters to the unique needs of your customers. Then, we’ll create a compliant private label that connects with your customers. Whether you need men’s health vitamins in gummies, capsules, powders, or any other form, BioThrive Sciences will create the best solution. For more information, contact BioThrive Sciences at 844-263-3657 or complete our online contact form.